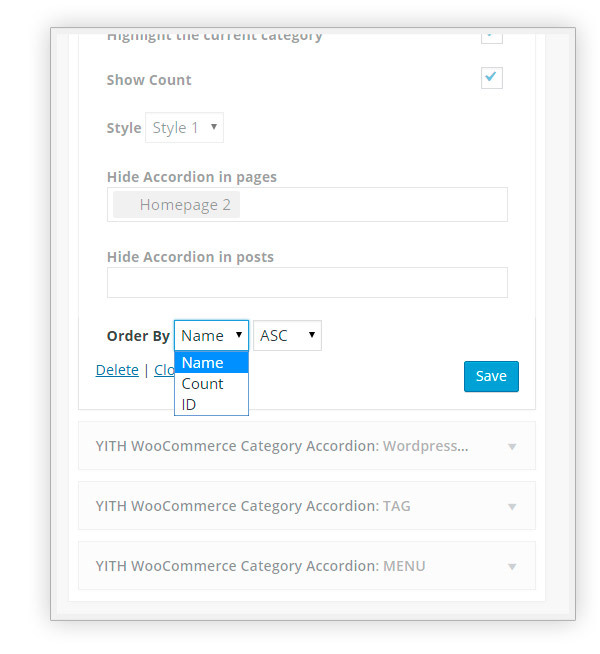 The YITH WooCommerce Category Accordion plugin lets you create a widget with few clicks in order to list the categories of the products for sale in the sidebars of your e-commerce. Thanks to the accordion feature, you will be able to show all categories and subcategories without visually weighing down the page, and making the navigation easier for your shop customers. 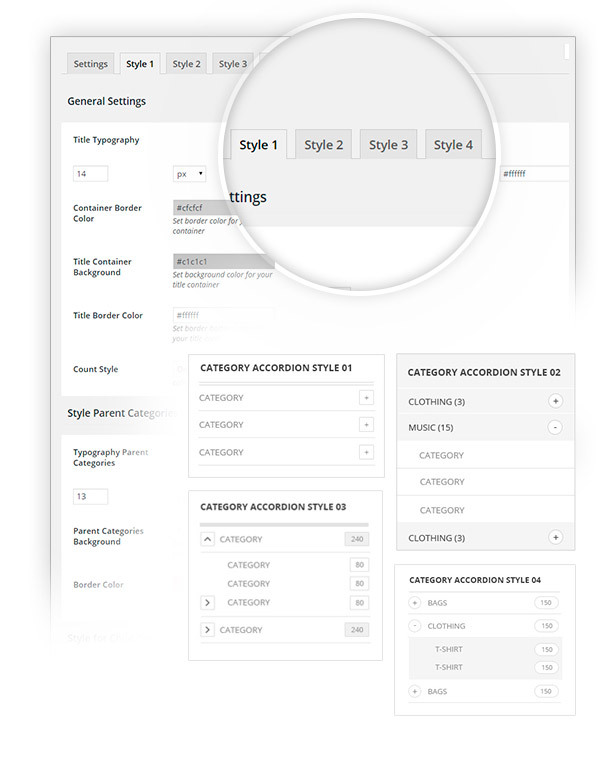 Following your needs, you can display how many products a category holds, hide the empty categories, decide to show by default the accordion closed or opened, and many more options. Fixed : Accordion does not stay open when you click on a sub-sub-category. Setting a particular number or showing only the categories of a particular hierarchic level. 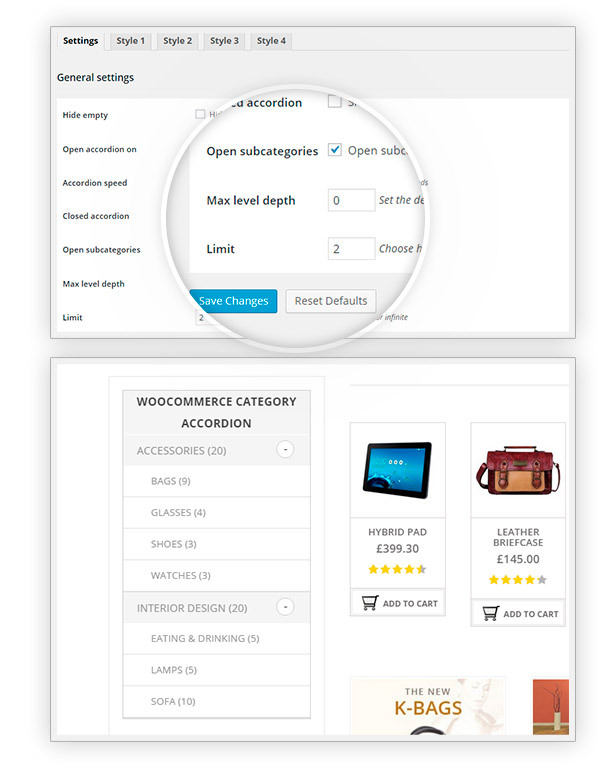 You can select both customized menus or tags assigned to the products of your shop.  In order to avoid modifying the code to change the graphics of widgets and shortcodes. 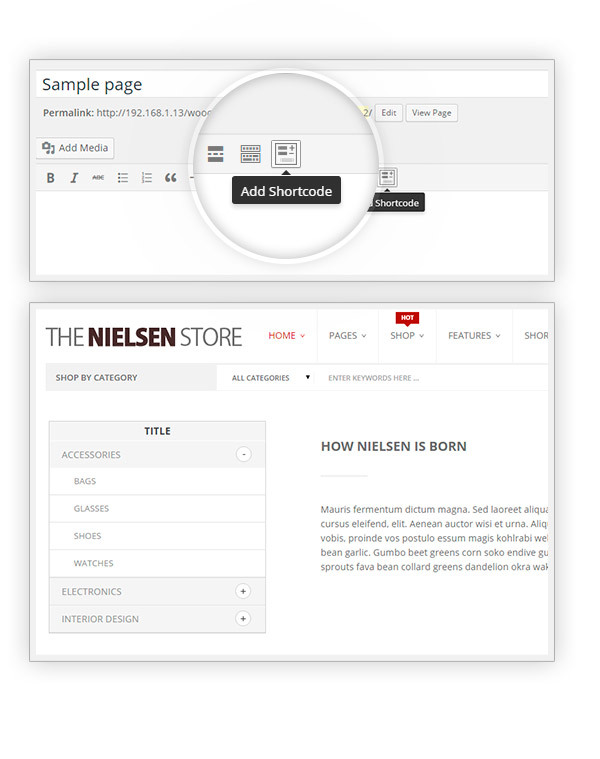 Same features and options, but the shortcode will let you add accordions in every page of your site. Three options to suit your needs: by ID, by name or by number of assigned elements. You will be free to choose the pages or the posts in which you don't want them to appear; moreover, you can also hide al the categories with no elements assigned. 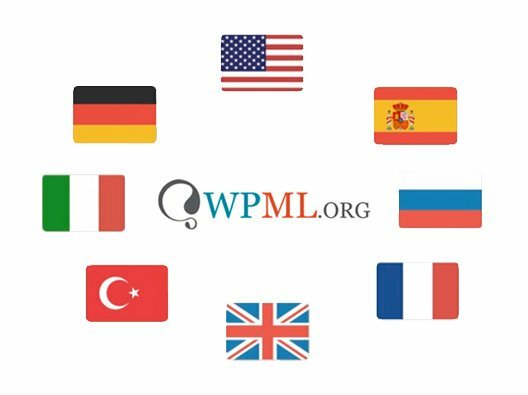 Great help from supportGreat looking plugin, I used the shortcodes but was not able to do it myself (not a programmer) but props to the support, they were very kind to help guide me through it and inform me. 10/10Working fine since we purchased it, no issues at all and is very easy to manage even if our dev is not available. That's very important for us, being able to manage our own business if we need it. SatisfiedThis plugin is nice, solid and very easy to setup. 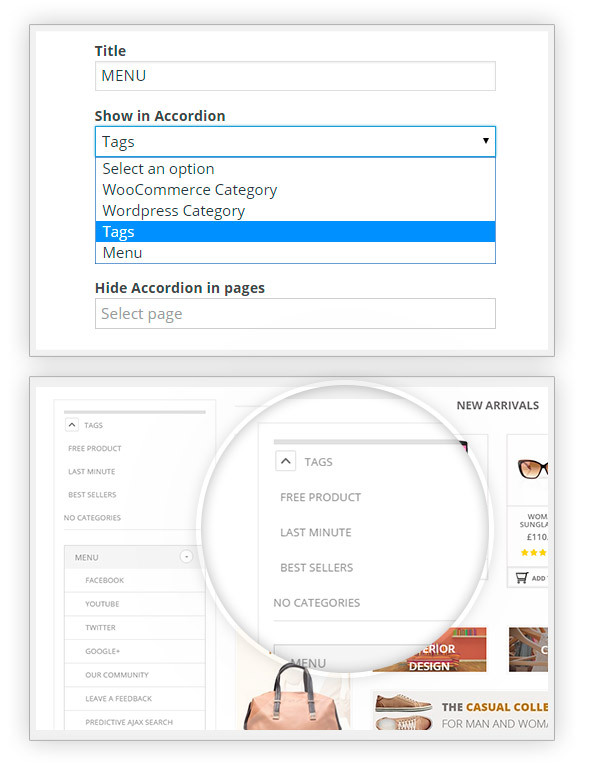 It offers a nice accordion menu for your WooCommerce Categories. Satisfied. Happy to have itThe plugin makes my site look much more organized, did not think it would make such a difference but in the end it did. Happy that I bought it. AmazingI really like and appreciate this plugin. It offers some excellent options and looks great on the page. There haven’t been any issues so far. Recommended. Unfortunately, this is not possible using our plugin! Hopefully we can assist you better with this in the future. Yes, the plugin has this option in the widget setting to hide or show the quantity. Hi, Reza! I am afraid the plugin doesn't allow achieving your scenario, I am sorry. Hi, Nicola! 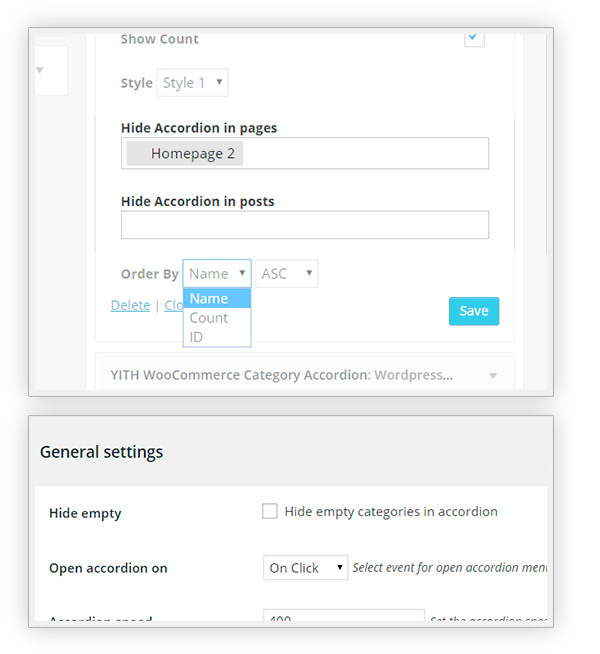 Yes, the plugin has an option that allows showing the accordion full closed. For further details about this and other features, you can check the official documentation.